Base salaries ranged from $50,000 to $393,000, with a median of $130,683 and an average of $139,470. Respondents are predominately male (75 percent), White (92 percent) and from intermediate-sized districts (300-2,499 students, 55 percent) regardless of their gender. Female respondents were, on average, older than male respondents (with a median age of 53 to 51 respectively). One issue that has received much media attention is that of state or district caps on superintendent salaries. Caps are still rare – only 14 percent of superintendents had salaries capped at the state or district level. However, several states are considering implementing new caps in the coming year, so AASA will continue to monitor this issue. Base salaries ranged from $55,000 to $322,171, with a median of $131,000 and an average of $140,021. Respondents are predominately male (80 percent), White (92 percent) and from intermediate-sized districts (300-2,499 students, 52 percent) regardless of their gender. Female respondents were, on average, older than male respondents (53 to 53 respectively). A four-year trend of improving economic conditions continues. Slightly more than half of the respondents (53 percent) reported their districts’ economic conditions as stable, which holds steady from 2014; this has increased from 50 percent in 2013 and 45 percent in 2012. More than one‐third (39 percent) of respondents reported an increase in enrollment between the 2007‐08 and 2015‐16 school years, compared to 49 percent reporting a decrease and 12 percent reporting no change. By a large number, respondents indicated growth in free/reduced price lunch (FRPL) eligibility rates. One quarter (22 percent) of respondents indicated they had eliminated positions in each of the school years between 2007‐08 and 2014‐15. Only nine percent indicated they had not many any layoffs in a similar timeframe. One‐fifth (19 percent) increased class size (student/teacher ratio) in 2015‐16, compared to 51 percent doing so prior to 2015‐16 and 54 percent in 2011‐12. Only 14 percent of respondents indicated that their district has the ability within its budget to soften the impact of federal education funding cuts. Base salaries ranged from $36,000 to $315,000, with an average salary of $122,000 and a median salary of $113,000. 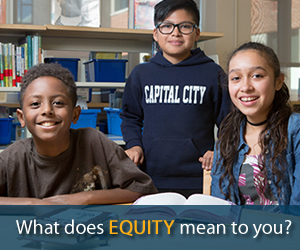 Respondents are predominately male (79 percent), White (94 percent) and from intermediate-sized districts (300-2,499 students) regardless of their gender. Female respondents were, on average, older than male respondents (53.1 to 51.7 percent respectively). A three-year trend of improving economic conditions continues. Slightly more than half of the respondents (53 percent) reported their districts’ economic conditions as stable (50 percent in 2013; 45 percent in 2012). This study, released in June 2014, report follows a survey of superintendents nationwide which received more than 500 responses from 48 states. The report’s findings echoed the position AASA has taken on Common Core: we need to slow down to get it right. Superintendents overwhelmingly (92.5 percent) see the new standards as more rigorous than previous standards. More than three quarters (78.3 percent) agree that the education community supports the standards, but that support drops to 51.4 percent among the general public. Nearly three quarters of the respondents (73.3 percent) agree that the political debate has gotten in the way of the implementation of the new standards. Nearly half (47 percent) say their input was never requested in the decision to adopt or develop new standards or in planning the implementation. More than half (60.3 percent) of the respondents who had begun testing say they are facing problems with the tests. Just under half (41.9 percent) say schools in their states are not ready to implement the online assessment, while 35.9 percent say they lack the infrastructure to support online assessments. The results from the survey demonstrate that districts are working with limited resources to implement the new, more rigorous standards, despite technology deficits, a dearth of quality professional development materials for school personnel and a challenging national debate. 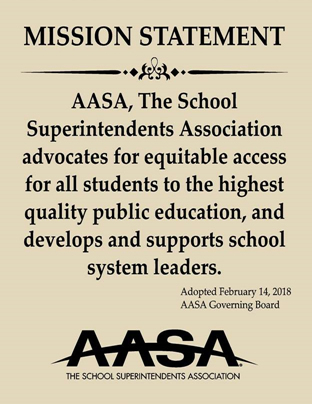 These results reinforce the AASA position that the standards will be a positive change, if districts are given the necessary time and funding to properly implement the new standards and assessments. Nearly half of the participating superintendents described their districts’ economic conditions as stable while more than 40 percent described their districts’ economic conditions as “declining. Median salaries grew with increasing district enrollment. In most cases, median salaries for female superintendents were slightly higher than those for male superintendents. Base median salaries increased by 1-2 percent from the 2012-13 to the 2013-14 school years. The 2013 study showed a nearly 10 percent increase in superintendents who are subject to an annual evaluation. The study also observed that 40 percent of superintendents indicated student performance data are included in their evaluations. 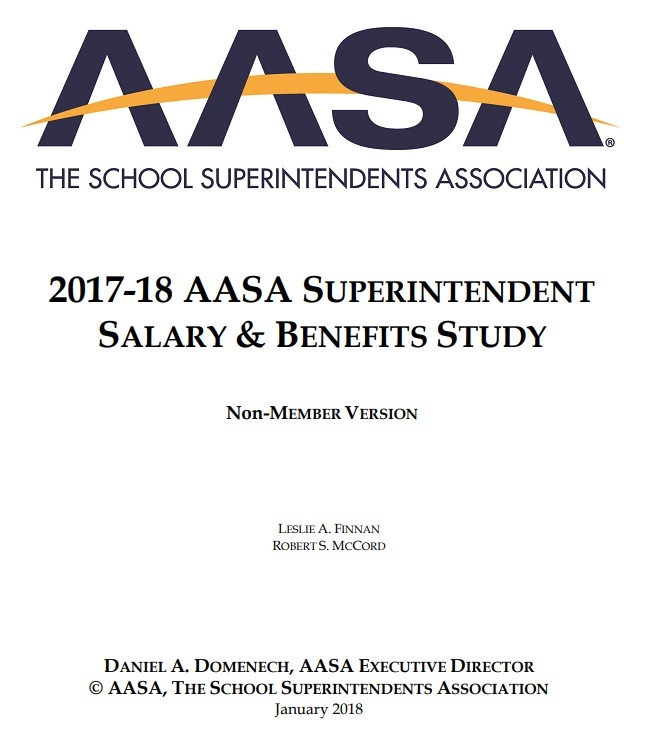 To access a copy of the public version of the 2013 Superintendents Salary and Benefits Study, click here. The full version, available to AASA members only, can be accessed here [pdf] This study is available to AASA members only. 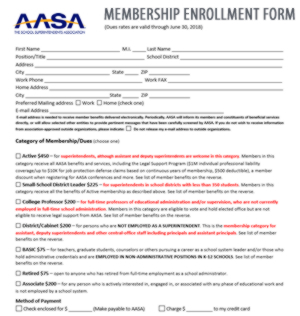 If you are not a member, become a member today. If you forgot your password click here. School superintendents across the nation are bracing for the deep cuts of sequestration, the federal policy consequence for continued Congressional inaction. In a report released in February 2013 by AASA, hundreds of districts across the nation provided details describing what the cuts would look like in their district, reporting jobs cut, programs eliminated, and other negative impacts. This study, released in July 2012, is the thirteenth in a series of studies by AASA looking at the impact of the economic recession on the nation’s schools. Unlike earlier surveys in the series, though, this survey focused on one particular aspect of the recession: sequestration. This fiscal policy of across-the-board cuts to federal spending would cripple education funding, which has already taken disproportionate cuts at the federal, state and local levels. Survey respondents deliver a clear message to Congress about the need for clear action to avoid the drastic cuts, weigh in on the importance of making information about the sequester available, and detail how the cuts—expected to be eight or nine percent reductions—would impact their school districts. This study, released in March 2012, is the twelfth in a series of studies by AASA examining the impact of the economic downturn on schools. Schools anticipate continued budget cuts, and this study shows little relief in current or upcoming school years. 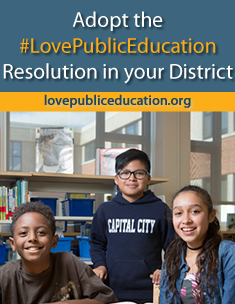 The nation’s school districts, already operating in their fourth consecutive year of budget cuts, do not anticipate returning to prerecession funding levels for several years, and survey respondents illustrate how the recession continues to impact their schools and operating budgets. The survey also asked about sequestration, and school administrators demonstrate a pragmatic understanding and anticipation of the potentially deep cuts that sequestration would cause and support a call to Congress to take action to avoid automatic, across-the-board cuts. 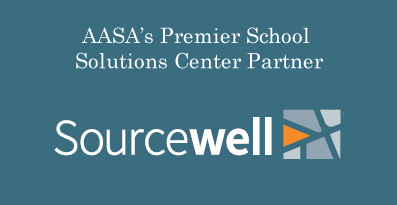 This study, released in December 2010, is the tenth in a series of studies by AASA examining the impact of the economic downturn on schools. This study finds that school districts report continued erosion of fiscal resources available to school districts, an erosion compounded by the ending of federal stimulus dollars. 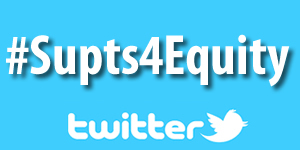 School budget cuts across the country continue and are expected to continue into the 2012-13 school year. School administrators also weigh in on the specific legislative and policy issues they think Congress should focus on as the 112th Congress starts in January. This new analysis looks at state-by-state data on maximum and average unemployment benefits as well as state-by-state data on beginning and average teacher salary to benchmark not only the stimulative benefits of Congressional action and additional funding, but also the economic ramifications of failure to act and the resulting sudden uptick in unemployment across the nation. This survey of superintendents, released in May 2010, documents the prospect of personnel cuts for the coming 2010-11 school year. Based on these survey results, AASA estimates that the national total for education jobs cuts will be 275,000 in 2010-11. This study, released in April 2010, is the seventh in a series of studies by AASA examining the impact of the economic downturn on schools. Compounding an already tough budget environment, schools are facing the harsh reality that stimulus funds will soon run out and the Obama Administration’s proposal to shift additional education dollars away from long-time formula grant programs to competitive grant programs. This study, released in October 2009, reports that districts in every part of the nation are being forced to make cuts that directly impact student learning and achievement. The data also suggest some states played a “shell game” with funds from the American Recovery and Reinvestment Act. This survey of AASA members, released in August 2009, finds that federal stimulus funds for education are flowing to states and local school districts, but many of the dollars are simply backfilling budget holes, limiting the ability of districts to implement innovative reforms. This snapshot AASA survey, released in August 2009, finds school leaders anticipating potential H1N1 issues. and an overall support for common standards. This study, released in July 2009, explores the possibility and potential for performance pay in schools. This study, released in March 2009, reports that school administrators are being forced to make significant cuts in 2009-10 school budgets. This study, released in January 2009, reveals that school districts across the nation plan to eliminate jobs in the 2009-2010 school year, including classroom instructors in all subject areas. This study, released in December 2008, identifies public school projects that would stimulate the economy and improve schools. This study, released in November 2008, reports that districts in every region of the country are feeling the impact of the economic downturn. This study, released in July 2008, asked school superintendents about the effect of rising fuel and energy costs on their school districts. This study, released in June 2008, offers a snapshot of the state of the pipeline to the superintendency. This study, released in September 2007, provides the largest and most comprehensive look at the men and women leading the nation's public schools.